Professor Luc Sels (°Merksem, Belgium, 1967) is the Dean of the Faculty of Economics and Business of KU Leuven. He joined the Faculty in 1996 as an assistant professor and became full professor in 2004. He was elected Dean in 2008 and subsequently re-elected for a second four-year mandate in 2013. Since 2013 he has served as the Advisor to the Rector for Integration at KU Leuven (integration of the new campuses outside Leuven). Professor Sels obtained a Ph.D. in Sociology at KU Leuven in 1995. He participates in the Research Centre of Organisation Studies (Faculty of Economics and Business). He teaches courses in Human Resource Management (HRM) and organisational design. His primary substantive research interests centre around labour market dynamics and projections, demographic change in the labour force and active ageing, and strategic HRM and workforce differentiation. His research has been published in leading scholarly journals such as the Journal of Management, the Journal of Management Studies, the Journal of Applied Psychology, the Journal of Organizational Behavior, and the Human Resource Management Journal. He is a research fellow at the Vlerick Business School and a part-time professor at the Simon School of the University of Rochester, where he teaches in the Rochester-Bern Executive MBA. Professor Sels is actively involved in labour market policy research and policy advice. He serves on the Belgian High Council for Employment (Hoge Raad voor de Werkgelegenheid) as a representative for the Federal Minister of Employment. 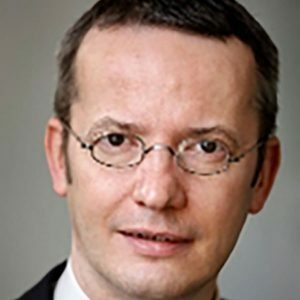 He is the director of the Policy Research Centre for Work and Social Economy (Steunpunt Werk en Sociale Economie) which advises the regional Flemish government on labour market policies. He is a member of the Board of Directors of the Research Institute for Work and Society (HIVA).